StretchOff Review - Is it a Scam or the Real Deal? Does It Work? This review is of two products that are designed to work together: StretchOff Repair Gel and StretchOff Rejuvenating Cream. Together, these products make a fantastic stretch mark treatment that stands out from all the others we have reviewed. When combined, the gel and cream reduce the inflammation and redness of stretch marks, promote elasticity to prevent future marks and fades stretch marks. They also nourish and repair the skin to get rid of existing stretch marks. If you are interested in finding out more about StretchOff then read our review below. StretchOff Repair Gel is made with three different types of pure medical grade silicon. It reduces the red, raised appearance of fresh stretch marks, and forms a barrier that retains moisture, rejuvenates inner skin cells and promotes faster healing. Allantoin – encourages the healing of wounds, scars and burns, and cell replication, increases skin smoothness, hydrates the skin and improves skin elasticity and texture. Affected areas should have the gel gently massaged into the skin in a circular motion at least thrice daily. The cream should be applied in the same manner in the morning and before going to bed. There are no effects reported from using the cream or the gel. However, if a reaction occurs you should seek medical advice after discontinuing usage. Both products should be kept away from the eyes and should not be swallowed. In the case of eye contact, rinse with water. In case of ingestion, swallow water. In both cases, medical attention should be sought immediately. You have three purchase choices from the StretchOff website. 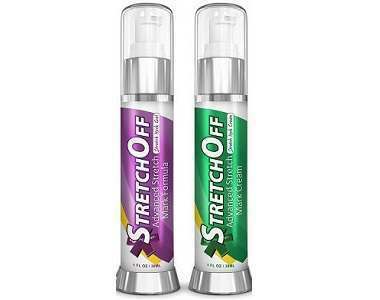 You can choose to buy StretchOff Gel on its own, StretchOff Cream on its own or buy the two of them together. The price is the same for both the cream and gel when bought separately. A Sampler Package offers a bottle for $49.95 for the gel or the cream. A Beginner Package is two bottles or $69.90, an Advanced Package is four bottles for $111.80 and a Top Selling Package is for six bottles at $139.80. This is the pricing for the StretchOff Gel only or the StretchOff Cream only. A Beginner Package of StretchOff Gel and Cream contains one bottle of each for a total of $77.90. An Advanced Package contains two bottles of each product for $111.80. A Top Selling Package contains six bottles, three bottles of each, for $139.80. StretchOff has a guarantee although fewer than 1% of customers have apparently availed of it. It allows a consumer to return an unsatisfactory product within 60 days of product delivery. The company must be contacted first and all items must be returned to get all your money back but you are allowed send back items even after they have been opened. 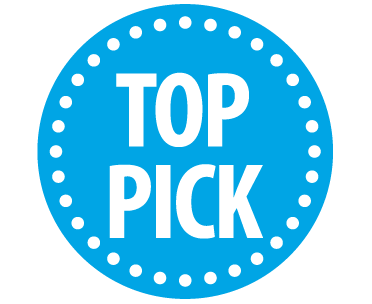 The products have received excellent feedback from its users who find it amazingly effective and point out that using two different products makes sense because stretch marks have to be tackled in more than one way. StretchOff Repair Gel and Rejuvenating Cream are two products that work effectively together. The research and the customer feedback are there to prove that fact. Additionally, the guarantee points to the manufacturer’s confidence that StretchOff works. The price may be considered slightly steep but if you want to get rid of stretch marks and stop them from coming back then these products are worth the price. Furthermore, the quality of StretchOff means that you are paying for a certain level of excellence, in terms of both ingredients used and the way the gel and cream are manufactured. This high-quality product is one that we would suggest you examine if you want help with your stretch marks.